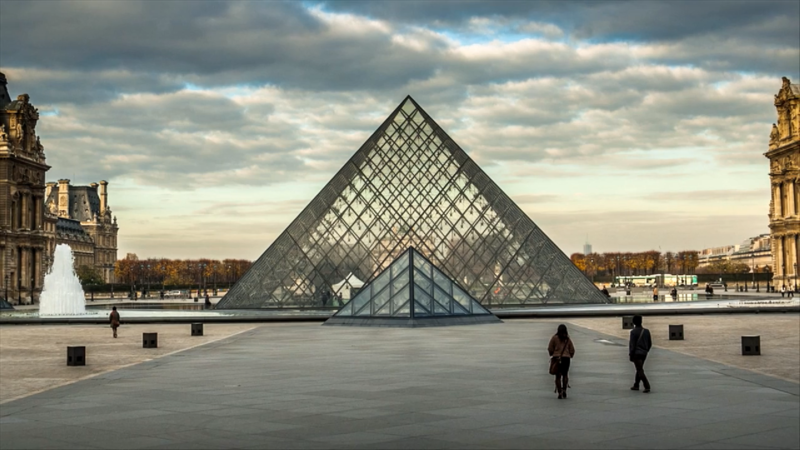 Over 25 years after the artist’s untimely death, how does his work and legacy continue to speak to contemporary audiences? Winning an art travel scholarship in 1959 altered the course of Whiteley’s career. 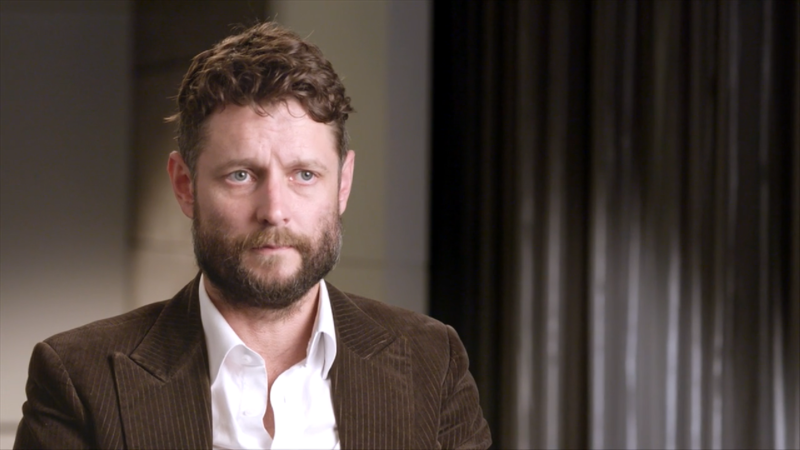 In his memory, Whiteley’s mother established a similar scholarship which has supported some of Australia’s most exciting young artists, including Ben Quilty and Lucy O’Doherty. 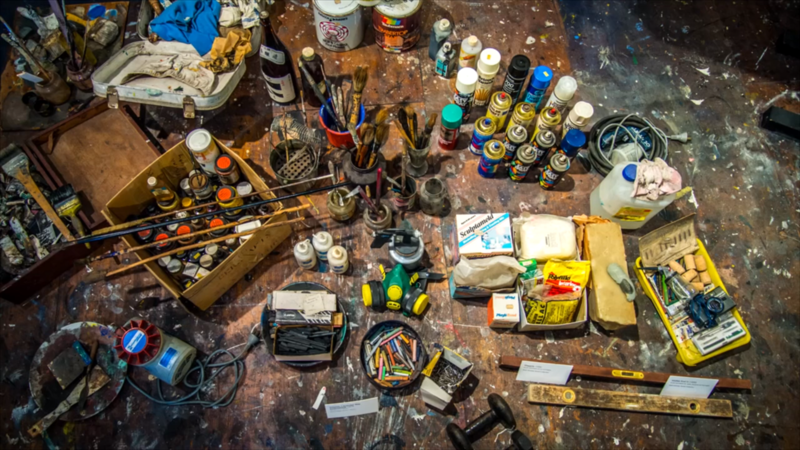 All artworks need care. How does the expert team from the Art Gallery of NSW stabilise, preserve and maintain Whiteley’s work? 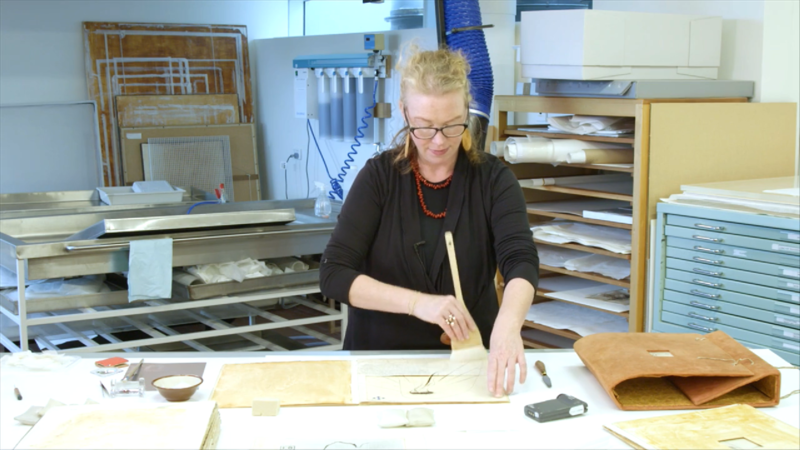 In repairing a unique sketchbook, paper conservator Sarah Bunn reveals a hidden 'first draft’ by Brett Whiteley. 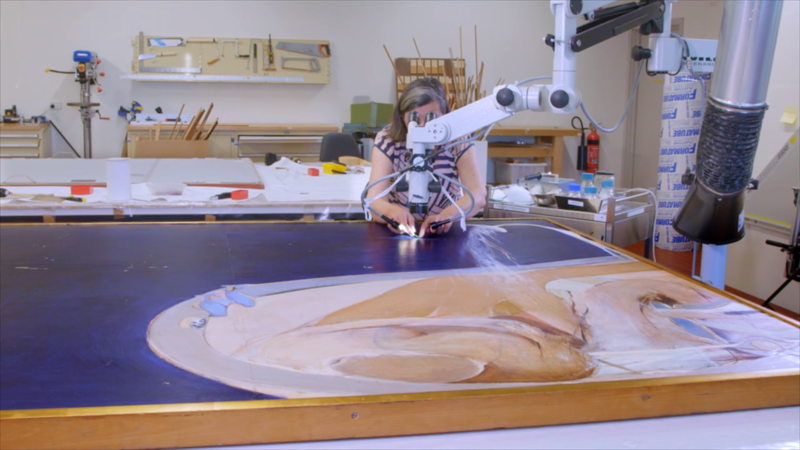 Expert painting conservator Paula Dredge gives us a glimpse into the high-tech and old-school methods used to preserve a famous Brett Whiteley painting. 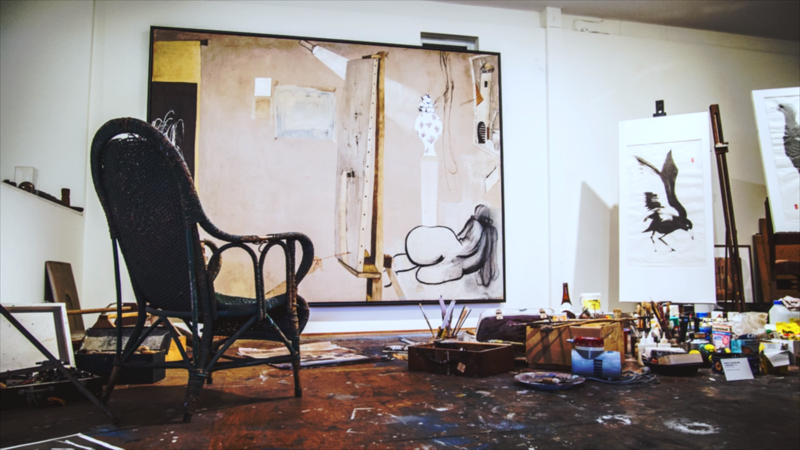 In this video, archivist Stephen Miller, Brett Whiteley Studio coordinator Alec George, and Wendy Whiteley reveal some of the items in the collection. Wendy Whiteley personally oversees the curation and hanging of every Whiteley exhibition. Here, she and the studio team give insights into what’s involved in mounting these shows and finding the elusive 'click’. 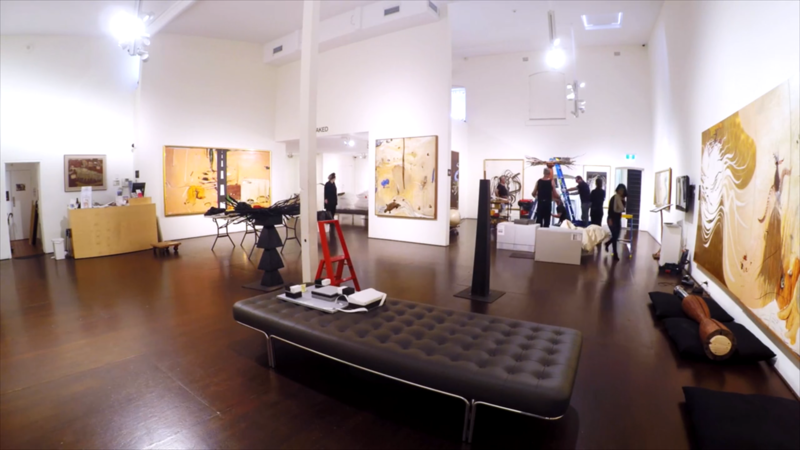 Brett Whiteley’s Sydney studio gallery retains a powerful 'spirit of place’; it is open to the public and school groups. 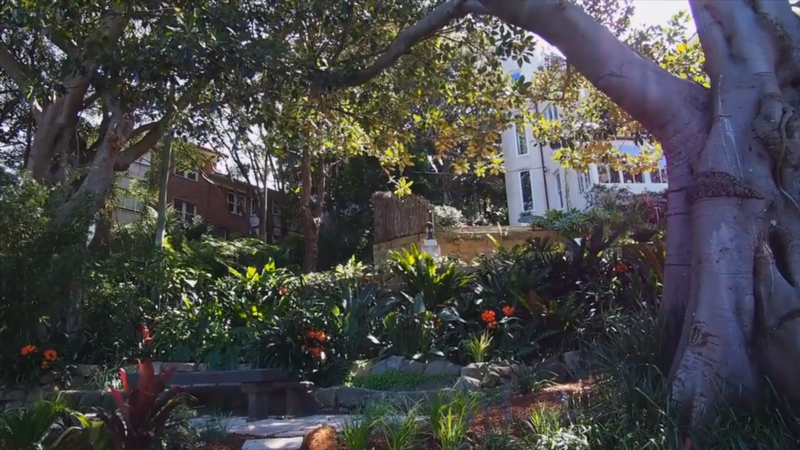 Wendy Whiteley’s poignant and enchanting 'Secret Garden’ is a living Whiteley work for all to enjoy.